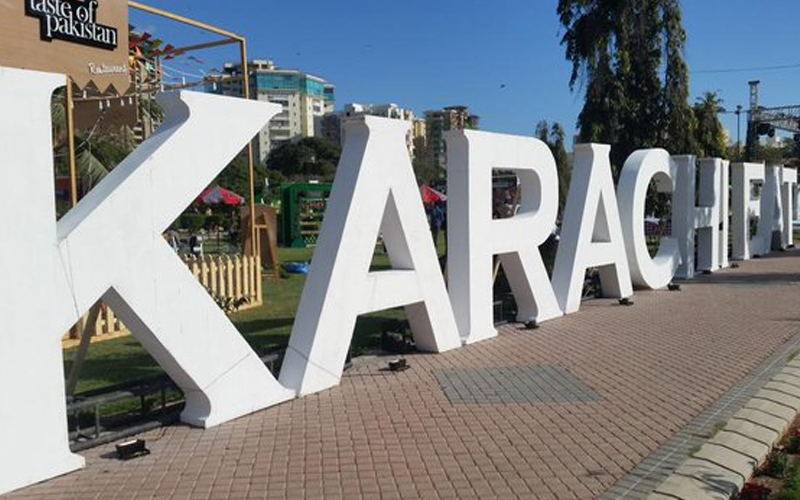 Three-day annual food festival “Karachi Eat Festival” will begin on Friday. The most anticipated event of the year is finally here. Karachi EAT is back for the fifth time and it's gonna be bigger and better than ever!, With more than 300,000 people expected to attend the festivals all over Pakistan. The passionate organizers wanted to create an atmosphere of hope and positivity for just a few days. The KARACHI EAT Festival is a foodies festival built around the idea of creating a common platform for people who love food. Frere Hall will transform into a foodie wonderland for three days of eating, drinking, and entertainment.From the most creative and talented chefs to the street vendors, the KARACHI EAT is a festival which celebrates the full diversity of food that this city has to offer. For Karachites food is clearly much more than just fuel for the body and through this eat festival, we embrace the pleasures and value of great flavor, giving us the chance to taste extraordinary food while being immersed in a complete experience that brings you face to face with the food you eat and people who make it. Karachi Eat Food Festival is a family food festival built around the idea of creating a common platform for people who love food. Karachi Eat festival 2018 Festival will be held from 12th to 14th January 2018 at Karachi's Benazir Bhutto Park, opposite to Boat Basin. Karachi Eat Food Festival 2018 will transform Frere Hall into a foodie wonderland for 3 days of eating, drinking, and entertainment. From the most creative and talented chefs to the street vendors, the Karachi Eat is a festival which celebrates the full diversity of food that this city has to offer. For the Karachiites, food is clearly much more than just fuel for the body and through this festival we embrace the pleasures and value of great flavor, giving you the opportunity to taste extraordinary food while being immersed in a complete experience that brings you face to face with the food you eat and people who make it. On the festivals, 5th anniversaries Aslam Khan and Omar Omari of CKO Event Architecture have said: “This is the year of the ‘BIG EAT’. We have raised the bar in terms of venue size, a number of participants, surprise performances from Pakistan’s leading pop singers and much more. We remain focused on our objectives behind the festival, which is to provide great family entertainment, reactivation of public spaces around our cities and to inspire a community spirit,”. Karachi Eat Festival will also host leading hospitality institute COTHAM to showcase their Taste Studio consisting of local chefs who will be doing live demos on all three days of the event. Additionally, all three days will also host music within the evening where Pakistan’s leading talents will perform. Bringing the art of painting to the common man Easel Bay will be setting up easels around the venue providing painting material (Canvases, paints etc) for children and adults to bring their creativity. Karachi Eat will feature a whopping 125 stalls to choose from this time! With vendors coming in from Islamabad and Lahore, there is more variety and more food! However, your favorites from the last year will be returning, such as Wingett, Saniya’s Kitchen, Oh My Grill, Chapli Kebab, Pantry, Chai Wala, Khao Dosa, D’oh, Bond Street Waffles, Coco9, Awesomosas from Lahore, Rajoos Ice Cream and Desi Gali. Yay! After a very successful run in Islamabad and Lahore, Pakistan’s biggest food festival is returning to Karachi for the third time. This time the ‘Eat festival’ will be bigger and better with Atif Aslam confirmed to perform.The organizers of Karachi Eat 2018 confirmed that Atif Aslam will be part of the live performances that will be held during 12, 13 and 14 of January.Other bands and artists are also expected to perform including the rock band Aaroh. The festival will be held at the Shaheed Benazir Bhutto Park, opposite boat basin in Karachi. The timings for Friday are starting from 4pm to 10pm. On Saturday and Sunday, the eat festival will commence from 12:30pm to 10:30pm.The ticket price is slightly higher this year. Ticket Price will now cost Rs 300 while last year it was Rs 250. However, Rs 100 from the ticket are still redeemable like last year’s.